Science has led human beings to take the planet Earth to a new level. What was once found in fictional books can now be experienced in reality. The world has seen a lot of change due to different developments in the fields of science. The most prominent change since the past decade has been the spread of smartphones. The world saw the first mobile in the year 1973 and since then, the device evolved a lot to become what we call a smartphone. All this time we have been introduced to newer features of mobiles every now and then and it is hard to point one single utility that is vital. This is because the smartphones today are not only about calling and sending tests; those are a lot more than what we had seen even a few years ago. Smartphones have become one integral part of us and those devices, by their virtue, have made a place in our lives which is indispensable. From the time we wake to the time we go off to sleep, there are multiple numbers of things for which we rely on smartphones. Whether you need an alarm to wake you up, a device to get you a cab, a friend to guide you through unknown streets or a platform to share your thoughts and connect socially by engaging in online chat with friends, a smartphone is enough to get you through your day. Let us now get into the details of how smartphones have really changed our lives. Get everything on your palm – Smartphones have really made a difference in how we connect and get things done. If you want something to eat then you can order food right away. If you want to meet up with an old friend but don’t have his/her contact, just search the social media and boom! There you go. The simple task for which you had to rely on someone else can also be done using a smartphone. For example, if you need to get some top up recharge, you can also do that. 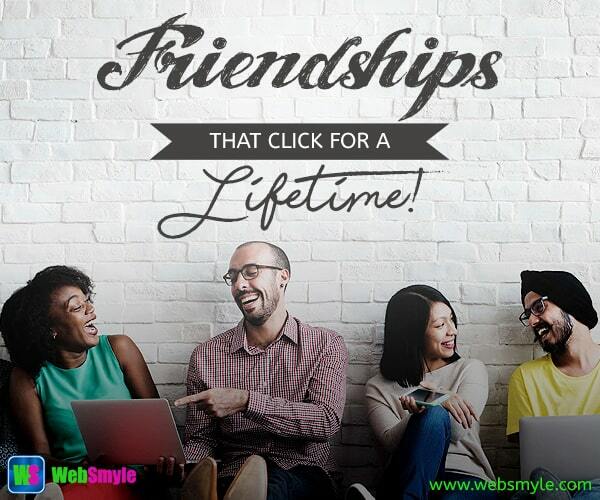 All you need is a WebSmyle account and your smartphone. You can avail free mobile recharge along with other benefits. Entertainment buddy – in recent times the most common problem we face is lack of time. Everyone is busy still everyone wants to have some relaxing time. Previously, when people needed to have fun, they used to hang out with friends and engage in different activities. Now, when everyone is busy, you can use your mobile to get some fun. Watch movies, stream videos, play games, video chat with friends and do a lot of other stuff with just a touch. Therefore, you can surely consider your smartphone to be your entertainment buddy! Leverage your business tool – If you are into business and want to give it a boost, voila! You already have yourself an amazing tool that can bring a huge difference in your business. Promote your business in a new way by opening an account in WebSmyle. Use your smartphone to promote your business worldwide. A combination of smartphone and social media is what you need to attract more and more traffic on your website. Therefore, your smartphone is a priceless tool to promote your business. Conclusion – The invention of the smartphone has led to the development of many things around us. It has opened new doors for many of us. It has also made provisions to make things easy in our everyday lives. A combination of smartphone and an account in a social media platform like WebSmyle can bring you lots of benefits that you might have never experienced. From online mobile recharge to watching movies, sharing ideas with the world, you can have a piece of everything right on your palm. Next PostNext How To Increase Your Followers On Social Media? How To Derive Maximum Productivity Out Of Social Media?